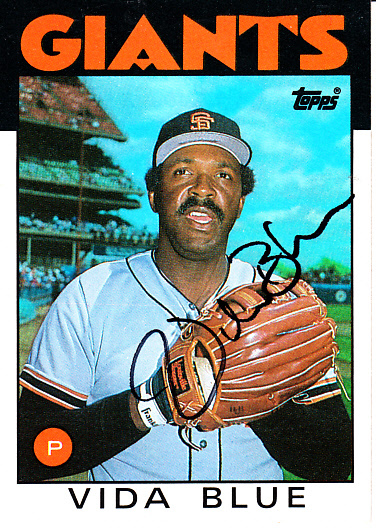 San Francisco Giants 1986 Topps card autographed in black marker by former pitcher Vida Blue, better known for his dominating days with the Oakland A's. Card is in NrMt-Mt or better condition. ONLY ONE AVAILABLE FOR SALE. With certificate of authenticity from AutographsForSale.com.